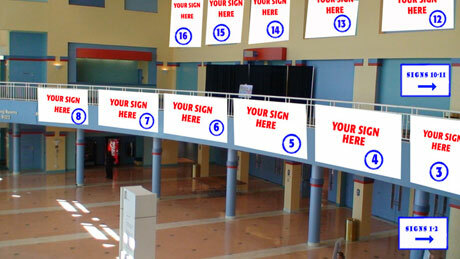 Maximize Your Presence at ITEXPO! the most exposure to this critical audience - before, during, and after the show. MILLIONS of impressions this powerful audience. INTERNET TELEPHONY Conference & EXPO! than with just a space in the exhibit hall. along with major dailies such as the Los Angeles Times. 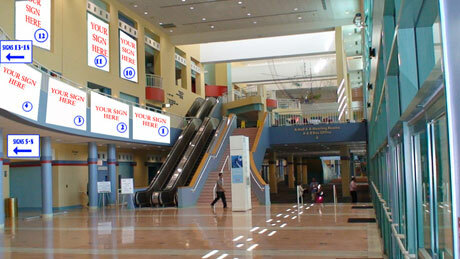 advertisements, Show Directory, signage, banners, etc. Business card-sized ad in attendee brochure. INTERNET TELEPHONY magazine’s Executive Editor, and your CEO. Your CEO's picture and company logo are also published. Your logo on the cover of the show directory. Four-color, two-page spread advertisement in the Show Directory. Four-color logo with 200-word description in the Show Directory. sponsorship payment to conclusion of the show. 200-word description on show Web site with your company logo. Your logo on all event signage. Large four-color sign displayed in a prominent area at the event. Inclusion of company promotional piece in all attendee bags. Priority booth space selection for future INTERNET TELEPHONY® Conferences. Complimentary meeting room in convention center. its business within the IP Communications industry. Full page, four-color advertisement in the Show Directory. Four-color logo with 50-word description in the Show Directory. 50-word description on show Web site with your company logo. Your logo linked from show Web site to your Web site. maximize your exposure to the powerful audience of industry leaders. Contact Dave Rodriguez at 203-852-6800 x146 for more information. Additional high-profile sponsorship opportunities are strong marketing activities to help maximize your presense at ITEXPO. Luncheon/Breakfast Sponsors – One of the most visible opportunities for conferees, sponsors of meals receive prominent signage throughout the room and the convention center. In addition, a speaking opportunity may be available (time permitting) during the meal. Networking Receptions – Great opportunity with a captive audience, as attendees gather to enjoy complimentary hors d'oeurvres and beverages. Your company will be represented with signage throughout the reception area, in the official program, and pre-marketing materials. Badge Inserts – Your company's promotional information will be inserted into the badge of each attendee to be seen by everyone! Attendee Backpacks – The official bag given to each paid attendee,these backpacks will feature your company logo aside the official conference logo. You will see hundreds of these bags throughout the week, and attendees take them home and use them again and again. Media Lounge – Members of the media will gather in the media lounge to work, relax, or share their thoughts with one another. By sponsoring this lounge, your company receives key exposure to this influential group. Sponsors will be featured in signage throughout the room.